Blazin’ hot, crunchy and flavorful! 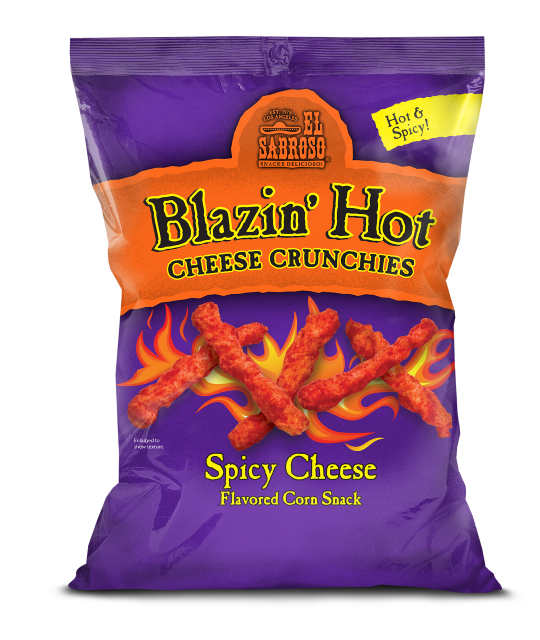 El Sabroso® Blazin’ Hot Cheese Crunchies will satisfy your cravings for a delicious snack. Made with cornmeal, we cook these curls to perfection and gently roll them in cheese seasoning and spices for an unforgettable taste experience. You’ll love every single crunchie you bite into.